The Syosset Park Citizens Advisory Committee – comprised of representatives from the community guiding the environmental testing and analysis process for a mixed-used development proposal located at the intersection of the Long Island Expressway service road and Robbins Lane in Syosset – selected an industry leader with three decades of environmental consulting and engineering experience to conduct the testing and analysis. Additionally, the committee selected the company’s Executive Vice President Joel Rogers, PE, to serve as the technical advisor to the Committee. 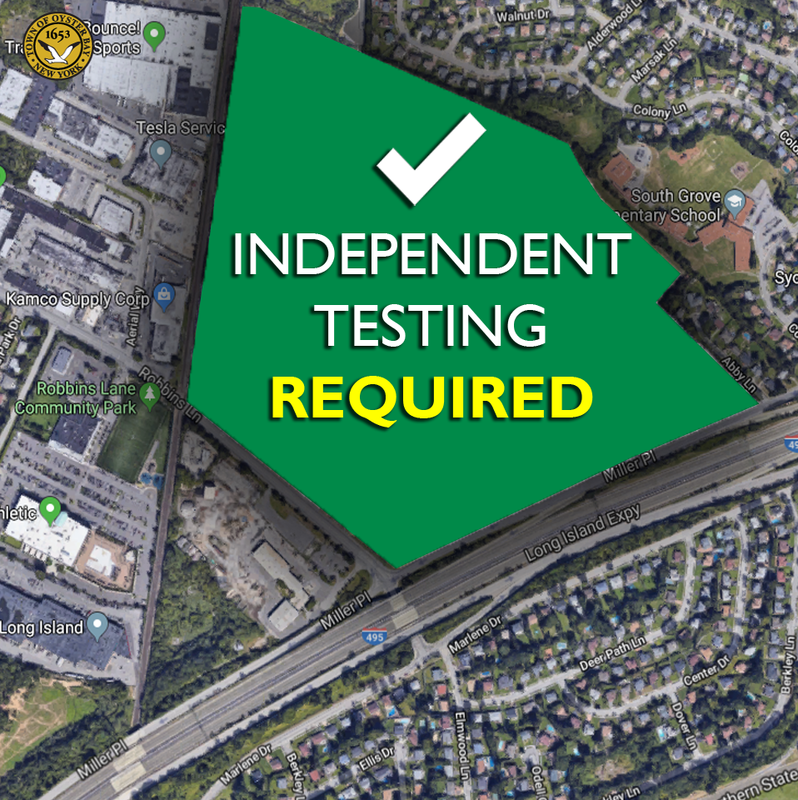 Because there was extensive commentary by the public relating to independent testing raised during the DEIS public comment period, there is no way to complete an FEIS for Syosset Park until the results of such testing are available. Accordingly, an FEIS will not be submitted until the results of the independent testing are provided. Impact Environmental is located in Bohemia, with offices in New Jersey and Pennsylvania. The firm has extensive environmental consulting and engineering experience, including assessment, investigation, monitoring, remediation, and permitting work on National Priority List (NPL) sites, naturally occurring asbestos (NOA) or radioactive materials (NORM and TENORM) sites, RCRA Closure sites, NYS Inactive Hazardous Waste sites, NYS Brownfield Cleanup Program (BCP) sites, New York City Voluntary Cleanup Program (VCP) sites, RCRA & sanitary (solid waste) landfills, and large former industrial brownfield properties (manufacturing, steel mills, and chemical production plants, etc.). The Citizens Advisory Committee has met on four separate occasions, they chose a chairman for the committee, and have selected a technical advisor and environmental testing company. The applicant has been notified of the progress and the Committee awaits fulfilment of the funding pledged by the applicant. All comments on independent testing will be addressed as comments on the DEIS. Residents who wish to review the current DEIS may visit the Office of the Town Clerk in Oyster Bay, as well as at the Syosset Library and Jericho Library, or CLICK HERE to view a digital copy. Comments can be submitted in writing, may be directed to George Baptista, Deputy Commissioner of the Department of Environmental Resources, 29 Spring Street, Oyster Bay, NY 11771 or via e-mail at gbaptista@oysterbay-ny.gov. Comments can also be submitted through the Town’s website.